Lace wigs are full wigs with mesh lace attached in front beyond the "hair line" of the wig that is custom fitted, trimmed, and temporarily glued to ones skin around the hairline. You can't see where the lace starts or ends. The mesh lace also provides for natural looking partings in the hair. Our vivhair.co.uk, is an online store that specializes in lace wigs and hair extensions. We take careful steps to ensure each strand of hair is of superior quality. urhair.co.uk provide many kinds of lace wigs, such as lace fornt wigs, full lace wigs, mono wigs, 100% hand-tied wigs. 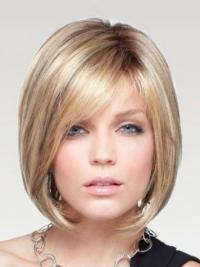 All woman wigs are on great discount, shop now for free gifts.